Despite that Birds sounds like a fun application, we can assure you that it might cause you some trouble. It was categorized as adware because the program can show commercial advertisements, coupons, surveys, and other irritating ads. What’s more, our specialists also noticed that the software could display inappropriate content that is not fit for users under eighteen years old. If you do not want these ads to disturb your browsing, we advise deleting the adware immediately. Even though it cannot be removed via Control Panel, the instructions below will teach you how to erase it manually. However, users should read the rest of the text and learn more about the application’s working manner because it will allow you to understand the removal instructions better. To begin with, the adware does not seem to have an official web page that would provide the installer. However, the application could bse distributed with bundled installers of other programs that might be uploaded on torrent or other file-sharing web pages. 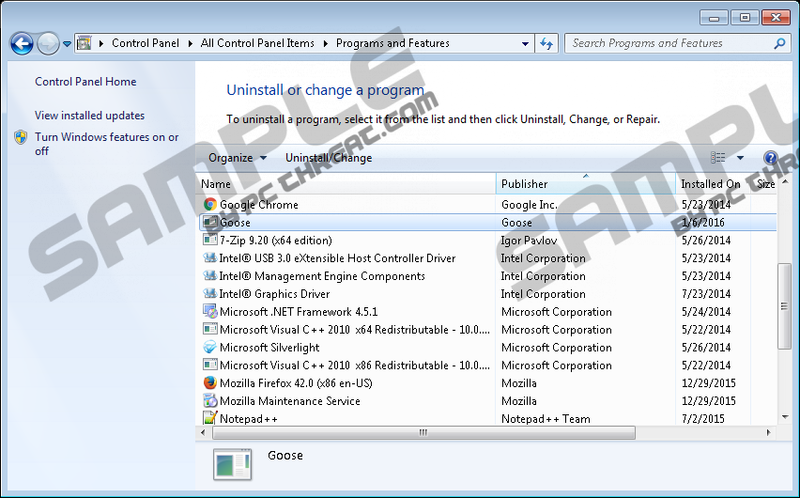 Usually, bundled software is only suggested and users have the right to deselect it in the installation wizard. Unfortunately, some users do not choose custom installation settings or do not review any information at all in the setup wizard. As a consequence, the suggested applications are installed automatically whether the user actually wants it or not. If you regularly download programs this way, you might have more unwanted programs on your system. In that case, it is important to do a system scan and clean it with a trustworthy antimalware tool. Birds should be able to auto-start with Windows, so the application could be launched every time you log on. Another thing that our specialists noticed is that the software might not allow users to open the Google Chrome browser. Apparently, the adware can close the browser once you open it. In the meantime, Birds can connect to the Internet themself. To be more specific, it connects to love.bengalflorican.com/jas/ad.html, which is the source of the advertising content. According to our research the adware activates only in 1-2 days after it is installed, so you may not see its ads right away. The inappropriate advertisements might appear on users screen occasionally. Same as other ads, this content might have links to potentially malicious web pages that users should avoid. The main danger on such sites is that they might contain malware, e.g. viruses, Trojans, and so on. Also, the site could try to gather user’s personal data like name, location, telephone number, email address, information about user's banking account, etc. Besides these examples, there are other possible scenarios as well, so it is better to stay away from suspicious ads. The strange thing about Birds is not that the application creates a lot of folders and Registry entries on your system, but the fact that their titles might be replaced afterward with random names of birds. For example, if the folder was titled as Birds in the beginning, later it might be changed to Goose, RosyStarling, RedKite, ChatteringLory, and other. It might be inconvenient for users who want to delete the adware manually, especially if they are not aware of this fact. If you decide that it is time to get rid of this annoying adware, you should know that there are two ways you can achieve it. Firstly, users can erase it manually, although they should take a look at the instructions below. The titles of Registry keys or folders that you would have to delete may vary (random names of birds), but the instructions will tell you exact locations of this data. Thus, the manual removal might take less time if you follow the provided steps. The second option is to download a trustworthy security tool and use its scanning feature to locate Birds. Once, the antimalware tool detects all suspicious files on your computer; it will provide the removal button that would erase all threats at the same time. If you are still struggling with the adware’s deletion, feel free to reach us via social media or leave a comment below. Locate folders or files that belong to the adware (title examples: Birds, Birds365, Goose, Goose.job, etc.). Right-click these files separately and select Delete. Find Registry entries that belong to Birds (example titles: 3dodo, Birds, Cassowary, Goose, and so on). Right-click these keys one by one and select Delete. Close the Registry Editor and empty Recycle Bin. Quick & tested solution for Birds removal.